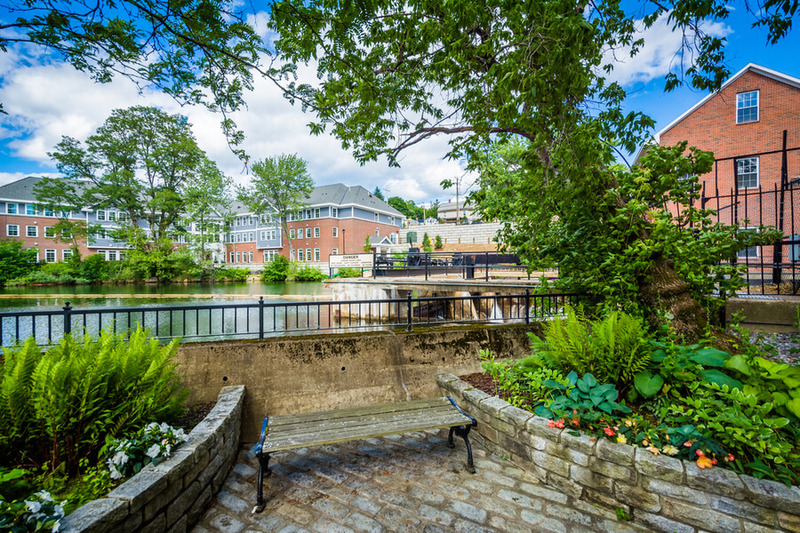 Riverbank House, located in Laconia, New Hampshire, is a treatment center that provides adequate and long-term care services to individuals suffering from mental health and substance abuse disorders. The facility uses a phase system to offer long-term sober living care to clients registered at the facility with a high emphasis on 12-step. The primary program offered first at the facility is the IOP (Intensive Outpatient Program), and this program will last for a duration of five weeks. The treatment follows a phase system consisting of four phases and clients are expected to remain in the program for at least 5 months. Depending on the individual, as no two clients are the same, some clients remain at the facility for longer, even up to a year. The facility incorporates spiritual practices into its treatment approach as well as recovery education. The first phase of treatment involves clients getting comfortable with the new environment and routine. The average duration of time spent in this stage is 30 days, and clients are required to attend 12-step meetings daily. Although meeting schedule and activities vary from time to time, patients typically begin with a mindfulness meditation class and yoga in the morning, after which breakfast is served and then clients can proceed to Alcoholics Anonymous or Narcotics Anonymous meetings. After that, clients must attend a house meeting, eat lunch, and then proceed to recreational activities in the afternoon. These activities can range from biking, working out, to even hiking. Each client is assigned journaling and step work assignments and is also required to attend process groups in the evenings which may include goal setting, relapse prevention classes, execution plans, one-on-one meetings with a counselor, and many more. During phase one, clients are introduced to the Solo No More program and the first stages of the 12-step (one, two, and three). The phase two and three involve clients getting a sponsor and delving deeper into the 12-step treatment approach. The facility places a high emphasis on long-term care, encouraging clients to remain in treatment as long as they desire. These two phases involve monitoring self-growth as well as, understanding and working the steps. Clients seeking mental health services are catered for, as access to an outside behavioral health facility and transportation is available if required. Residents with questions can go to the house manager, who is always available on-site. Residents without cars can benefit from the transportation scheme, which takes residents to and from appointments, recreational activities, and daily off-site 12-step meetings. The facility offers a nine residential home neighborhood, which comes equipped with a woodworking shop, yoga studio, gym, and café, all in a recreational complex. Two residents are required to share a room, and bathrooms come fully equipped with en-suite full baths bathrooms. Three to four clients are required to share a bathroom, and the facility offers multiple amenities such as computers, laundry, high-speed internet, covered porches, phone access, parking, and living room areas with flat screen televisions in each. The yoga studios come fully equipped with yoga mats and other amenities, as yoga is offered daily at the house. A fire pit, kayak equipment, and a house Xbox are few extra amenities available to residents of the facility. The gym also comes fully equipped with exercise machines and weights, if clients have no desire to indulge in outdoor activities. The Solo No More program is a major activity offered to residents at the facility. The program is aimed at helping clients build a sense of family and togetherness. Activities offered in this program include barbecues, community service, music lessons, skiing trips, writing workshops, beach trips, and many more. Clients are served three meals per day and residents with dietary restrictions and allergies are considered. Meals served range from fried chicken, pasta, salads, and sandwiches and all meals are served on-site. The facility offers a sober living program as a step down from the intensive outpatient program. Clients seeking mental health treatment are transported to outside behavioral health facilities for treatment. The treatment approach is heavily based on 12-step and the Solo No More program, offered only at the facility. Clients are able to share triggers and issues in a safe and comfortable environment during off-site meetings. Riverbank House costs approximately $4,900 for a 30-day treatment at the facility. The facility accepts most major insurances and clients can get outside financing offered by the facility. Residents and prospective clients can contact the facility about payment options and many more. The facility offers a house dog named Kona to residents, and this dog helps clients by offering puppy love through the recovery process. The facility understands that family involvement is a major part of recovery and as such, encourages family meetings, participation, and recovery. Although, all visits must be approved and arranged by the current house manager available. The facility offers multiple levels of treatment but does not cover all treatment bases. Clients seeking a facility that is dedicated to helping patients re-learn living life without drugs will find Riverbank House to be a good choice.